September 13 marks 25 years since Israel and the Palestine Liberation Organization signed the Oslo Accords on the White House lawn. Under the watchful eye of then US President Bill Clinton, then Israeli Prime Minister Yitzhak Rabin, Foreign Minister and Oslo architect Shimon Peres and PLO Chairman Yasser Arafat cheerfully signed the pages of the document that was supposed to pave the way to peace. Until then, the PLO had been considered a terrorist organization. Since then, negotiations have been on again, off again. Palestinian terrorism reached its peak during the Second Intifada from 2000-2005 but has never ended. And, meanwhile, the U.S. and European Union have given billions of dollars and euros to fund most areas of Palestinian government and institutions without asking anything in return… until now. President Trump first applied pressure when he declared Jerusalem Israel’s capital and moved the U.S. Embassy from Tel Aviv to Jerusalem in May. Then, last week Trump cut funding to the United Nations body responsible for Palestinian refugees (UNRWA), and now he’s ordered the closure of the PLO offices in Washington. Although, the U.S. does not recognize Palestinian statehood, it allowed the PLO to maintain the office in Washington to facilitate interactions between Palestinian officials and the U.S. government. The PLO formally represents all Palestinians. Palestinian leaders reacted angrily to the latest decision by the Trump administration to close the office of the PLO. But National Security Advisor John Bolton said the decision to close the PLO office is designed to restart peace talks. “The Trump administration will not keep the office open when the Palestinians refuse to take steps to start direct and meaningful negotiations with Israel. The United States supports a direct and robust peace process,” Bolton said at a press conference earlier this week. The decision enforces a U.S. law mandating the closure of the PLO office if the Palestinians threaten to take the U.S. or Israel to the International Criminal Court (ICC) in The Netherlands. “The United States will use any means necessary to protect our citizens and those of our allies from unjust prosecution by this illegitimate court. We will not cooperate with the ICC. We will provide no assistance to the ICC, and we certainly will not join the ICC,” Bolton added. Top Palestinian negotiator and PLO Executive Secretary General Saeb Erekat called the move a “dangerous escalation” and accused the U.S. of going against the international system in order to protect so-called Israeli crimes against the Palestinians and peace in the Middle East. "The US threats against the ICC is a coup against the rule-based international system. The Trump administration wants to dismantle the international order to ensure that it can stay above the law and escape accountability,” Erekat said. The Trump administration notified the PLO nearly a year ago it would close the office if the Palestinians didn’t engage in meaningful peace talks. But just hours after the current announcement, Erekat said the Palestinians would press ahead with their appeals to international bodies instead. "We will pursue our request from the (UN) Human Rights Council to issue the data base on companies that operate in the illegal Israeli settlements and we will pursue our request in the International Court of Justice concerning Trump's decision on Jerusalem, UNRWA other issues and we will pursue our efforts in the UN General Assembly and Security Council on the issue of international protection for Palestinians and membership of the State of Palestine,” Erekat said. Israeli Prime Minister Benjamin Netanyahu applauded the Trump administration’s action. 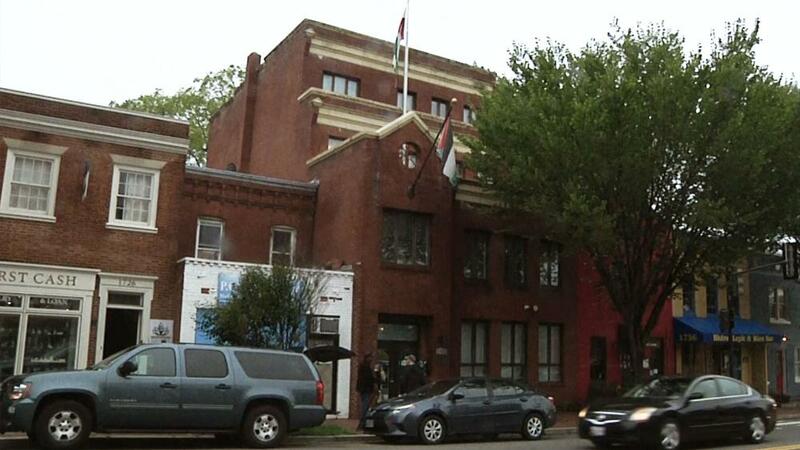 "The US made the correct decision when it decided to close the PLO offices in Washington. The Palestinians refuse to enter negotiations with Israel even as they attack Israel with false claims in international forums,” Netanyahu said at the opening of his weekly cabinet meeting. Netanyahu said Trump wants Palestinians to understand they need to talk peace. “Israel very much appreciates the Trump administration decision and supports American actions that are designed to make it clear to the Palestinians that the refusal to enter into negotiations with Israel and the unbridled attacks against Israel will not only not advance peace but will certainly not make things better for the Palestinians,” he said. Meanwhile the White House peace plan is still under wraps and it’s unclear when it will be put on the table and if either side will accept it.